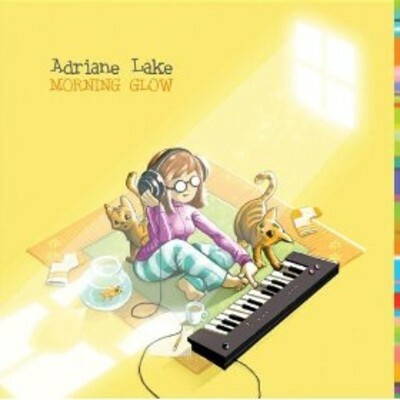 Listen to this track, a slice of warm, ambient electronic goodness by Vancouver electronica artist and producer Adriane Lake. It’s “So Beautiful”, the lead track taken from Lake’s full length 2009 album Morning Glow. The track mixes intertwining vocal lines with subtle, popping beats, and washes of electronic ambience, in places evoking Kate Bush, Bjork, and ’90s drum ‘n’ bass. It has the quality of pop music while being unafraid to go off the path in places, too. Before this project, Adriane Lake lent her vocal and instrumental talents to other projects, going under the name ‘Adri’ in many places. Lake has been an avid DIY producer of electronica for this solo project, but also as a re-mix artist for Fidgital and Landscape Body Machine, a keyboardist for an experimental rock trio, worked with a world music choir, and even scored music for video games.